JKSSB Syllabus examination pattern 2019 for various posts. JKSSB Syllabus It is notified for the information of the concerned candidates who have applied for the posts advertised vide Advertisement Notification Nos 01, 02, 03, 04 and 05 of 2019, that the item wise syllabi for the posts detailed below is given as annexure “A” to “K” to this notice. Item No/Advt No. Filling up of various post in J&K High Court. 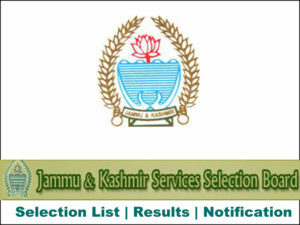 JKPSC KAS (Probationers) Departmental Exam. The candidates are also intimated that there shall be negative marking for wrong answers (-0.25 for each wrong answer) attempted in the said examination.